Otis G. Miles, pictured left in a post-war sitting, was born on September 23rd 1862 in Calais, Vermont, the only son in a family of 8 children. His home was in Middlesex, Vermont from about 1861 to 1864 and he enlisted in Middlesex on August 16, 1862. On December 11th, 1862, he was promoted to corporal. 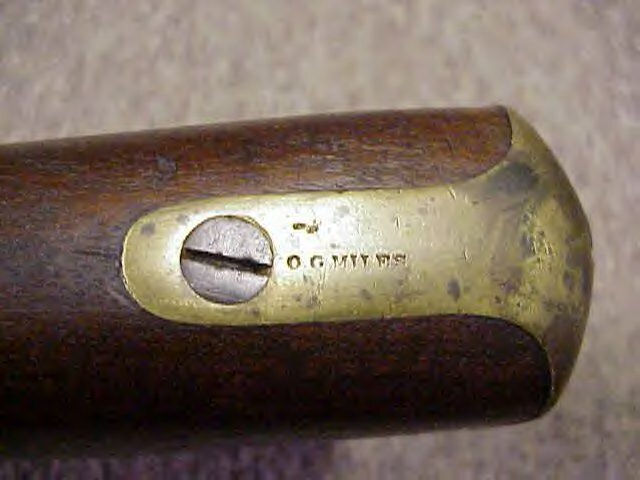 At Gettysburg, Corporal Miles took part in the repulse of Pickett's Charge. He was hit in the assault attempting to save his comrade, Dexter Parker, who was wounded on the field. 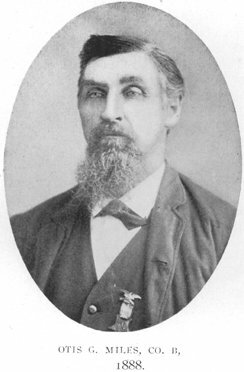 James H. Wilson trying to help Miles was killed instantly by a Confederate ball. The regiment left to return to Vermont on July 8, 1863 just 5 days after the battle. Miles and Parker both survived their wound and mustered out of service in with the regiment on July 21st, 1863 in Brattleboro, Vermont. Following the war he worked for several years in carpentry and bridge building for the Central Vermont Railroad Company. On November 10, 1863 he married Mary Alvira Smith at Burlington, Vermont. 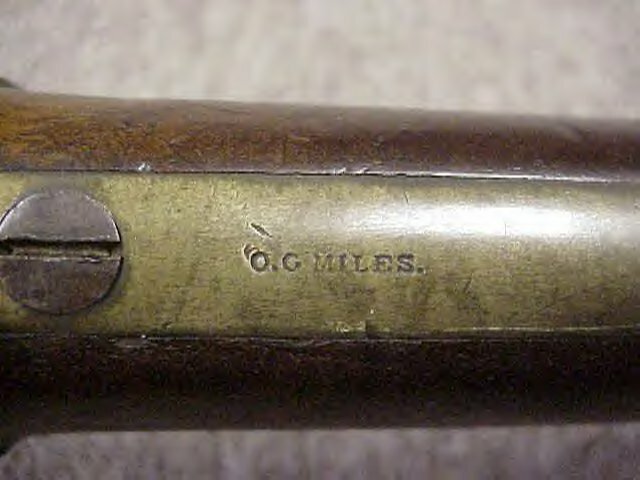 Otis stamped his name on just about all the metal parts of the musket and on the wood as well. 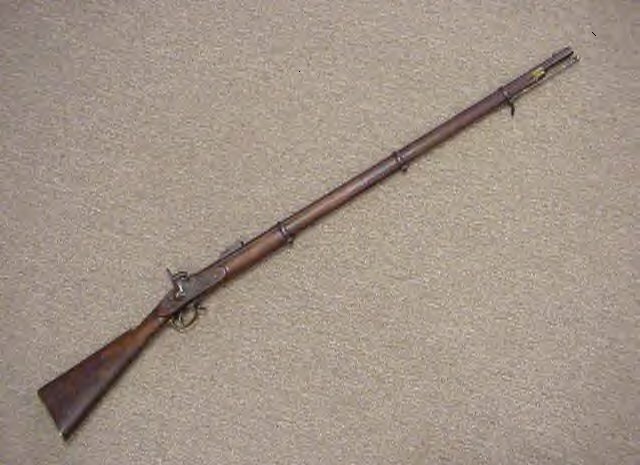 Another full-length shot of the musket.